Which is the most touristy Canary Island and which is the least? Before anyone answers we need to consider what does ‘most’ and ‘least’ touristy actually mean. Tenerife attracts the most tourists each year followed by Gran Canaria. They get most of the attention in the UK travel press and have the biggest tourist resort developments. That obviously makes them winners, or losers depending on how you view it. But let’s look at it another way. 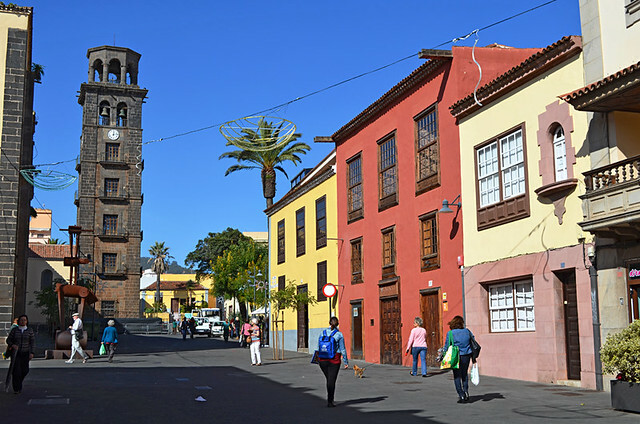 Both Tenerife and Gran Canaria have far greater Canarian populations than the other islands. 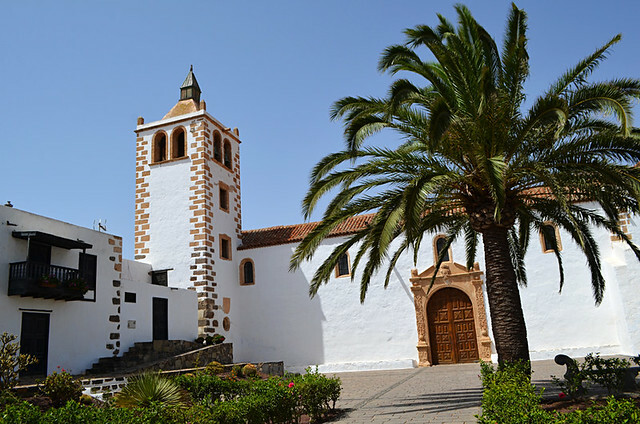 Once you know what makes the islands tick you start to understand that more Canarios equates to more traditions, local culture and better gastronomy. It might be stating the obvious, but places where there are big Canarian populations tend to feel less touristy. 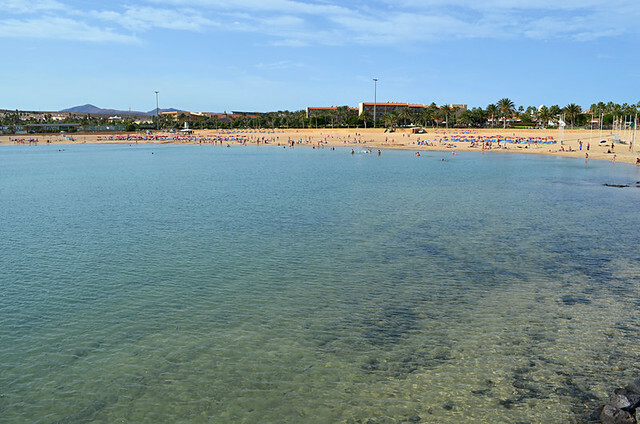 Additionally, it might come as a surprise to some to learn the Canary Islands with the greatest numbers of visitors staying in all inclusive (AI) accommodation are Fuerteventura and Lanzarote. From Canary Islands official statistics published in 2016, 55% of all visitors to Fuerteventura stayed AI; on Lanzarote it was 38%, on Gran Canaria 29%, Tenerife 28% and on La Palma 19%. AI on little La Gomera and El Hierro is insignificant. These figures have a knock on effect on the personality of a destination. Where there’s a significant local population, there are towns outside of purpose built resorts with shops, bars, restaurants etc. to meet their needs. Where there isn’t a big local population these exist more for day-trippers, with only a handful of traditional restaurants and bars keeping the locals happy. And that’s where the problem with experiencing rural life on Fuerteventura comes in. Where there are rural hotels by the colonial bucketful on the likes of Tenerife and Gran Canaria, there are hardly any on Fuerteventura. A couple of the ones that do exist need a proverbial boot up the backside. There was a charming little rural hotel, Era de la Corte in Antigua which is a traditional and working town. The bar/restaurants there are for the townspeople and although they are friendly Canarian places with decent traditional food they are too ‘authentic’ for some. The Era de la Corte had to close sadly. Antigua on Fuerteventura, maybe too authentic for some. There’s another decent rural hotel, Casa Isaítas, in nearby Pájara, a more picturesque town than Antigua and a popular stop with excursionists. Because of this there are more restaurants and cafés which are closer to the vision of visitors who want a slice of local life as long as it isn’t too authentic. The problem with Pájara illustrates exactly why I referred to the island as frustrating Fuerteventura in the title. Once the day-trippers have left town many places close. If you don’t eat before 8pm, your choice of venues to have dinner is severely restricted. Worse still is the island’s most picturesque town, Betancuria, where the pretty white streets are positively buzzing during the day but by 6pm it’s a struggle to get a cerveza let alone any food. As soon as the day-trippers leave Betancuria is a ghost town, which doesn’t give the people staying at Casa Princess Arminda, a charming but shambolically run rural hotel in the centre of the town, much choice when it comes to dining out. Betancuria, empty after the day-trippers leave. It’s ironic on islands where the local population don’t eat dinner till after 8.30pm that you can struggle to find places open after darkness falls, and it’s illuminating. Arriving on the smallest Canary Island, El Hierro, at 11pm thanks to the ferry being delayed, we were still able to pop into a bar within a couple of hundred metres of our apartment in Frontera for a very late dinner. Restaurants in the town and around the island rely on the patronage of locals not tourists. 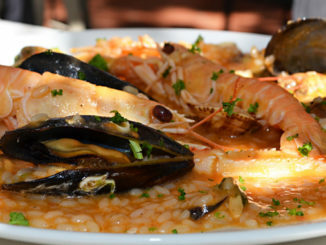 There are lots of places on Tenerife where visitors rarely tread where there are thriving restaurant scenes. 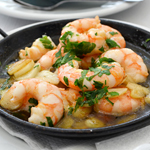 In fact many of the best restaurants are to be found well away from the main resort areas. When more than half a destination’s visitors have all their meals and drinks in their hotels and there isn’t much of a local rural population, it means due to a lack of demand outside of the resort areas, choice is extremely limited. Therefore visitors seeking a rural experience rather than just lounging on a beach on Fuerteventura, blissfully beautiful though they are, have a limited choice. 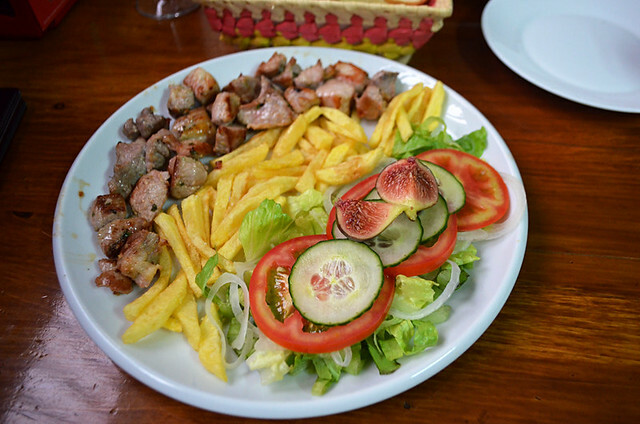 Basic local food in Pajara, Fuerteventura. 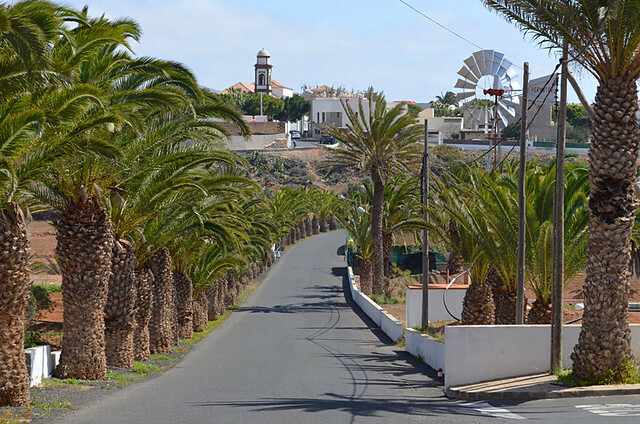 Rural tourism in Fuerteventura is simply at the toddler stage when compared with other Canary Islands. And yet, being an fascinating island with vibrant North African-esque scenery, there is massive potential for development in this area. But with too many visitors choosing to stay AI, there’s a lack of incentive for people to take a risk. However, there is an upside to most tourists sticking to their hotels like glue. 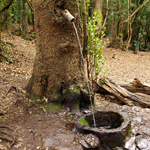 Much of Fuerteventura’s hinterland remains undiscovered and unknown to visitors. It is actually the perfect time to do what few other visitors do – go off the beaten track. 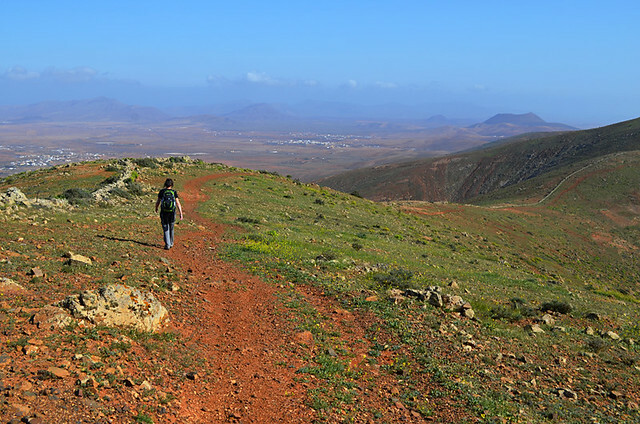 AI visitors mean quiet trails on Fuerteventura. Experiencing rural life on Fuerteventura might have its frustrations, but you won’t be experiencing it with hordes of other visitors to the island. And if you do bump into a local, a Spanish satirical magazine amusingly, if unfairly, once claimed they were so rare you get to make a wish.